According to the Law of Conservation of Mass, atoms cannot be created or eliminated in the process of chemistry reaction. Therefore, the amount of atom of each element before reaction must be equal after reaction. 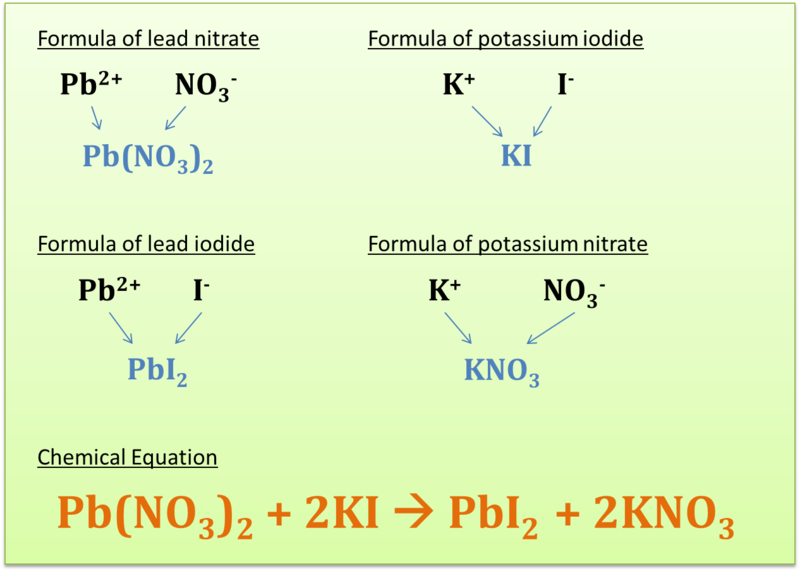 Lead(II) nitrate aqueous react with potassium iodide aqueous to produce lead(II) iodide precipitate and potassium nitrate aqueous.